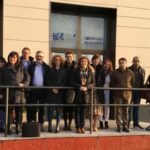 The SPACE Project 1st Consortium Meeting took place in Sopuerta, Spain, on 17-17 November, and was hosted by the Spanish partner Centro San Viator. The project aims to combat cyberbullying through the creation of a MOOC (Massive Online Open Course) that will provide secondary school teachers with the skills to prevent and counteract this phenomenon. 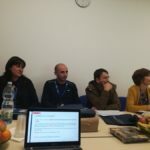 SPACE is presented by a partnership from 5 countries, guided by the Applicant, the secondary school “Bozzano” of Brindisi.